Ah Venice! The birthplace of the famous merchant, explorer and adventurer, Marco Polo (1254-1324). He, at 17 years old, travelled with his father and uncle and travelled along what is now known as the Silk Road. Venice, was also the exciting and colorful place to be during the Renaissance period (1300-1600) as it was one of the major force in the artistic movement. Painters Giorgione (1477/78-1510) and Titian (1488/90-1576), as well as Antonio Vivaldi (1678-1741) Baroque composer, virtuoso violinist, called Venice home. 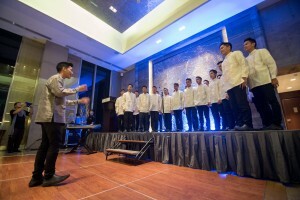 Adventure, Music and Art, these are the strong and vibrant spirits that Marco Polo Ortigas Manila chose as their theme to celebrate this holiday season. 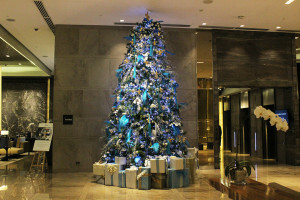 Marco Polo Ortigas Manila lit its Venetian-inspired Christmas tree, last November 24 at the hotel’s sky lobby. The festivity opened with joyful Christmas carols sang by the Sisters of Mary Boystown choir. Guests were then greeted by event host, Gino Quillamor, and the Hotel’s General Manager, Frank Reichenbach, who welcomed corporate clients, in-house guests, and media partners. “We are very much delighted to be unravel the magic of Christmas inspired by the colour, grandeur and fantasy of Venetian holidays with everyone. This year, we take you back in time to Marco Polo’s native city, Venice,” says Frank Reichenbach. 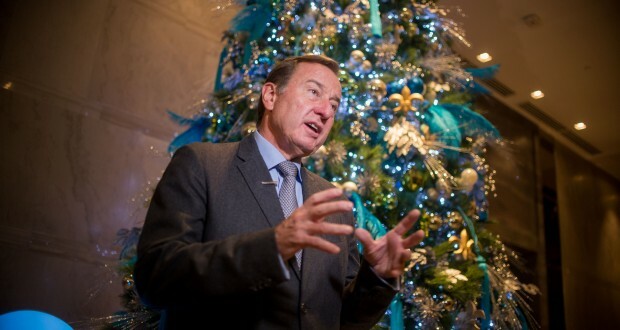 As this is the season of giving, the hotel also unveiled its Wings of Hope. Together with Frontier Ortigas Hotel and Resort Corp. President, Lily Pedrosa, and celebrity Max Collins, the project aims promote saving and preserving the Philippine Eagle as well as help bring a smile to less fortunate kids. The stuff toys are for sale at Php 600. Children from its partner charity, Riversprings School, received the first five eagle stuffed toy. Guests were then treated with a Christmas performance from the kids of Riversprings School, consisting of 20 pre-schoolers. 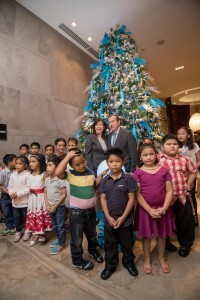 It was then followed by the lighting of the 25 feet Venetian-inspired Christmas tree by the Hotel’s General Manager, Ms. Lily Pedrosa, and the kids, which brought a magical glow for the festive season. Experience a journey from West to East this holiday season as Marco Polo Ortigas Manila brings spectacular Venetian celebrations. 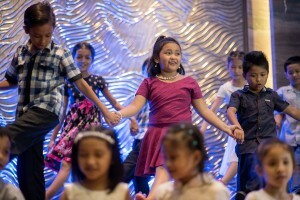 To know more about the hotel and other signature dining outlets of Marco Polo Ortigas Manila, please contact (632) 720 7777 or book online via www.marcopolohotels.com or email: manila@marcopolohotels.com. Visit facebook.com/MarcoPoloOrtigasManila or follow @MarcoPoloManila on Twitter or Instagram.